On chilly days it's pleasant to curl up next to a dog. They're like furry hot water bottles! Some have more hair than others, of course, but most dogs have something. Brushed out hair from dogs and cats can be washed and spun into yarn, that in turn can become sweaters, mittens, and hats. 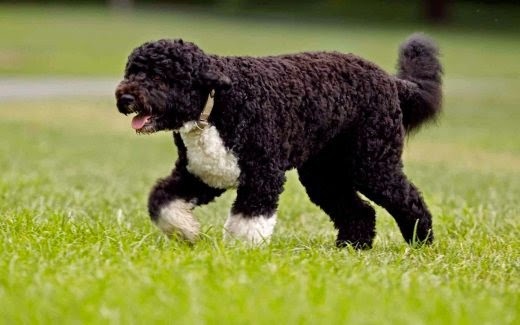 Some people who work with spinning yarn from dog hair even work with clipped hair from breeds like poodles, provided it's long enough. 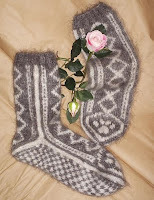 The yarn can be used with the color it has, or be colored. Norwegian website hundegarn.com advice not to wash the brushed out hair. They also say it should be stored dry and well ventilated in a paper bag, not plastic. 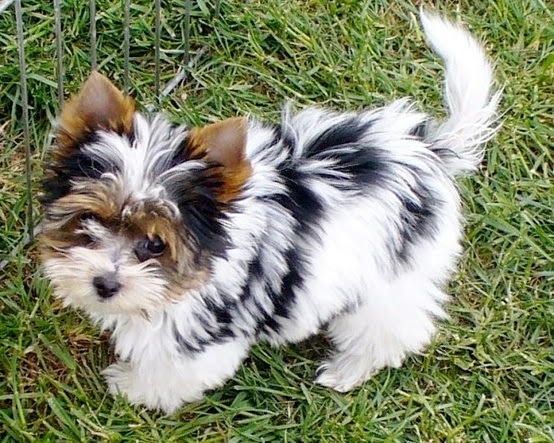 The website customdoghairspinning.com says the hair should be at least 2" long for best results. They handspin the wool on a spinning wheel and the end product is yarn suitable for knitting, crocheting, and weaving. They also point out that the finished product will not smell like dog if it gets wet. 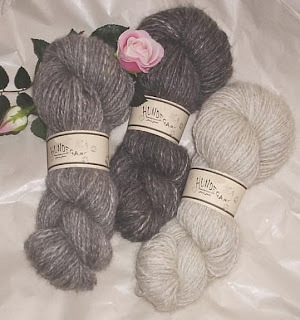 Some spinners offer to work with wool shorter than 2", but in that case it might have to be mixed with another type of wool. 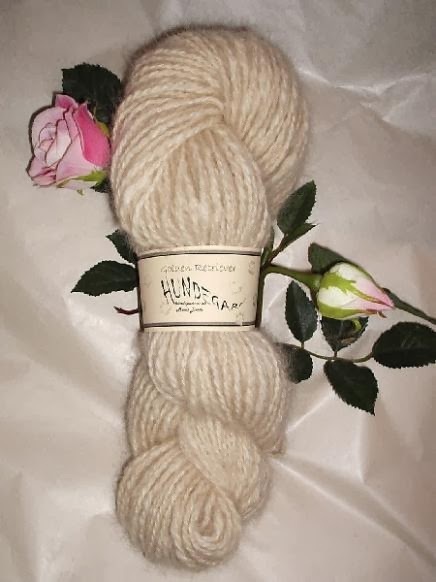 It's possible to make the yarn on one's own as well, if you're willing to learn how to spin. The yarn on this photo comes from a Golden Retriever. Yarn from a Golden Retriever. Yarn from a Border Collie. What do you think? Would you wear a sweater with yarn from your dog? Have you tried something like this with your dog? Would you be interested in trying? It might be more evident when talking about dogs, but both dogs and cats come in a variety of breeds. It isn’t possible to put an exact number on the dog breeds of the world, because many varieties can be recognized by one breed registration group but not by another. The World Canine Organization is the largest internationally accepted registry of dog breeds, and they have more than 340 breeds. Dog breeds aren’t scientifical classifications; they’re groupings based on similar characteristics of appearance and behavior. 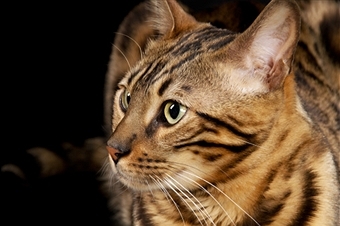 Some breeds have existed for thousands of years, and others are fairly new. Many scientists believe the first dogs were domesticated around 16,000 years ago, but others claim evidence points as far back as 32,000 years. In the latter theory, modern dogs would be related to an ancient type of wolf that is the ancestor of both dogs and modern wolves. A dog's breed matters to a certain extent. Many people believe that dog breeds mostly have an impact on the outside of the dog, but through the ages breeds have been created based on wanted behaviors such as hunting and herding. It is important to pick a dog that fits the family’s lifestyle. If you want a dog with a special look but the breed characterics seem difficult to handle you might want to look for a mixed breed dog. Dogs are individuals, just like people, but being aware of a breed’s average energy level, exercise needs, or grooming needs can prevent future problems. Do you have a favorite dog breed? What about it makes it the best? 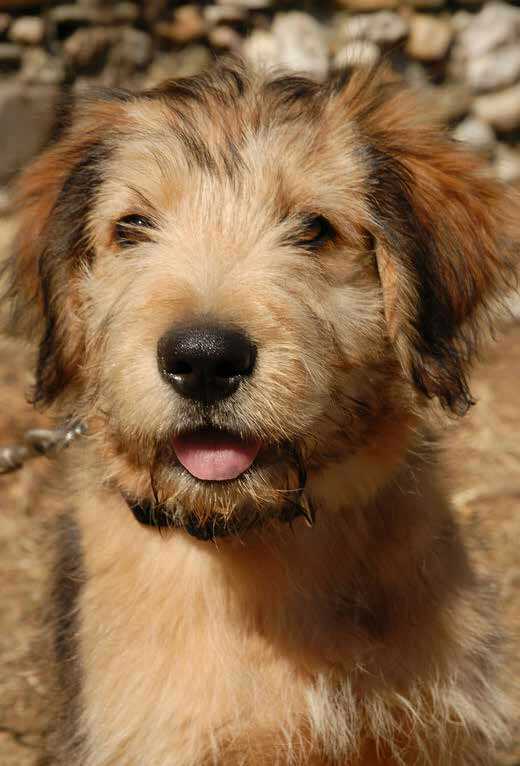 The Berger des Pyrénées – Pyrenean Shepherd – has worked with sheep herding in southern France since medieval times. It is mentioned in medieval manuscripts, and often referred to as the “constant companion” due to its loyalty and tendency to stay by the shepherd’s side through thin and thick. Pyrenean Shepherds were traditionally paired with a Great Pyrenees that would protect the herd against wild animals. They are tenacious; two Pyrenean Shepherds are enough to manage a flock of 1,000 sheep. The breed comes in two varieties: smooth-faced and rough-faced. They are intelligent and energetic, and need a job to do. When herding, a dog easily covers 25 miles every day, and running a herding dog tired is an almost impossible task. Mental stimulation can make them tired, and they are great at agility, flyball, and competitive obedience. This is not a breed that does well being left alone. They prefer to be by their human’s side at all times, and love to follow a person around the house to help with daily chores. They are very sensitive to a person’s moods and often seem to read minds. Pyrenean Shepherds are generally healthy dogs, and they require little grooming. An occasional bath and a thorough brushing every few weeks goes a long way towards keeping their good looks. The dogs are often referred to as enthusiastic, affectionate, and active. 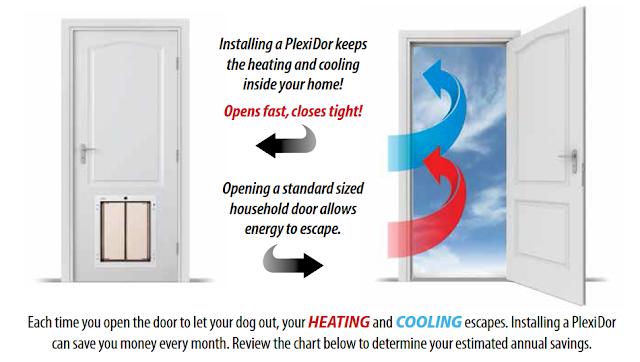 Save money on your heating bill with a PlexiDor pet door! Fall is here and northern parts of the country are already buckling down, expecting winter. With the cold comes heating bills, something no one likes to spend money on. Did you know that installing a PlexiDor pet door can save money on your energy bill? Every time you open your household door to let your dog in or out, the air inside your home blends with the air outside. November is Senior Cat Month, intended to celebrate older cats, their wisdom, and the joy they bring to our lives. How old a cat can become - and when it becomes a senior - is highly individual, but many live to their late teens and even into their twenties. Generally speaking, a 7-10 year old cat is considered middle-aged. An 11-14 year old cat is considered a senior, and one that is older than 15 years a geriatric. The oldest cat recorded in the Guinness Book of World Records lived to be 28. We found a good brochure about caring for your older cat here. Senior cats who end up in shelters are often the last to be adopted - many who come are wooed by kitten cuteness. 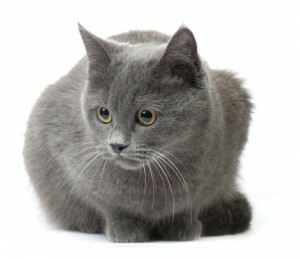 However, kittens have a lot of energy and they require a lot of work, and if you're not ready to spend all your time training and entertaining a kitten, a senior cat will give you love and company while avoiding many problems. If you adopt a cat - or any animal - from a shelter/rescue, please be aware that the personality you see in the shelter isn't necessarily who the pet will be in your home. Many are overwhelmed in shelters, get stressed or depressed, and coming home makes a world of difference. Building that trust and settling into the new environment can take some time, so be prepared to give your new best friend a few weeks to see who they will turn out to be. Do you have a senior cat, or have you thought of adding one to your household? Do you have any tips to share about their care? 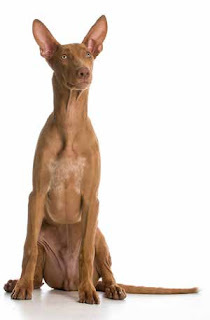 The Egyptian Pharaoh Hound was traditionally used as a companion for hunters from Malta. Some scientists say there is no DNA evidence for the breed being related to Egyptian dogs, others claim the breed is related to ancient Egyptian dogs with a lineage back to 3,000 BC. Pharaoh Hounds are graceful, powerful, and fast. They make pleasant companions who can be peaceful indoors yet loves to play given an opportunity. This breed has a unique ability - they blush when excited. The nose and ears get a rosy hue. Pharaoh Hounds are generally healthy and need little grooming. As their coat is short and thin they need to live indoors with soft bedding and warmth.